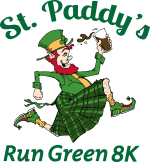 All great races have the support of great volunteers and we need volunteers for the 11th annual St. Paddy's 4 Miler. VOLUNTEER SHIRTS ARE OPTIONAL. IF YOU DO NOT WANT A SHIRT, THE MONEY WILL BE DONATED TO CHARITY. YOU MUST SIGN UP BY MARCH 11TH TO RECEIVE A VOLUNTEER SHIRT. If you are a MS volunteer, please sign up in the slots indicated MS credit. Volunteers associated with the nOg Run Club's monthly charity, please sign up in the appropriate section. Your specific assignment will be determined race day. Anyone else wishing to volunteer, just sign up in the position you wish to work. no shirt - donate to charity! **Capital City Clauses Only** Must be at least 21 years of age. No MS credit available. Must be a nOg Run Club member. Will assist with the sale of nOg Run Club merchandise. Must have iPhone or Android to download Square App.